Summary: DistroKid is a no-nonsense music distributor that allows you to distribute as much music you want in a year for a nominal fee. The only downside is that you will pay more for services that other distributors offer as part of their total fee. There are several services that will distribute your music to popular online stores and streaming sites like iTunes, Amazon, Spotify, and Google Play. DistroKid is just one example of a company that offers this service. And yes, independent artists can (and do) use it too. DistroKid – like CD Baby or TuneCore – is a digital distribution service. And if you are interested in making your music easy for people to find, then you should use a service like DistroKid to make it available in as many different places (streaming sites and online stores) as possible. But why would you want to use this service over any other? Let’s explore. 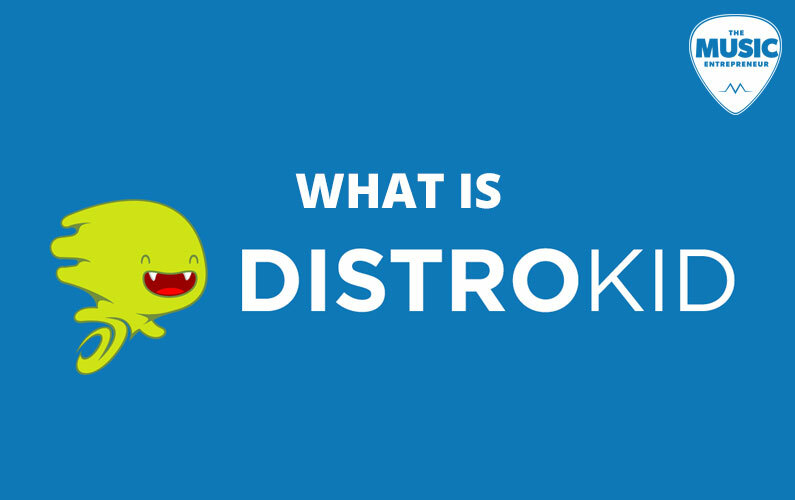 Why Sign Up with DistroKid? DistroKid is a no-nonsense company, as you can probably see from their minimal website. They distribute your music to over 150 stores and streaming services. You get to keep 100% of your royalties, and payments are sent out monthly. You only have to pay a one-time fee of $19.99 to distribute as many songs and albums as you want in a year (this is unique). They make it easy for you to clear cover songs. This is typically handled by a third-party service like Loudr. They come recommended by Bandcamp (if that sways your opinion one way or another). Ari Herstand has written a detailed post comparing the various distribution services that are available. This is worth a look if you haven’t decided which is right for you. It makes it easy to see how DistroKid stacks up next to other services. If you’re having a hard time deciding, I would suggest setting aside your analysis paralysis and going with your gut. Your music can do something for you if it’s out there, but it can’t do anything for you if it isn’t. But fundamentally, every service has its upsides and downsides, and Ari says that one of the downsides of DistroKid is that they don’t tell you about the extra features they charge additional fees for prior to becoming a member. They also don’t collect composition royalties, so that means you would have to work with a separate company like Songtrust to collect everything you’re owed. But I think it’s fair to say that prolific artists (i.e. those releasing lots of music over the course of a 12-month timeframe) will enjoy working with DistroKid, because they’ll save some money on distribution. I’ve talked about the fact that music distribution and music marketing are two different things before. Certainly, getting your music on popular sites and apps can help it get some added exposure. But unless you have a loyal following, some powerful publicity, or you just happen to strike the right chord with the world, merely distributing your music won’t help it get much attention. Services like DistroKid exist because a) distributing your music by yourself would be a time-intensive and tedious process, and b) because some sites won’t even let you submit your music independently – you must go through a distributor. There are many intermediaries in the music industry – that’s just the way things are right now. It doesn’t make it right, but it is true. My point being that digital distribution services don’t exist to promote your music. If you’re paying them to have your music promoted, that’s one thing, but most don’t even offer that option. Most of the time, that job ends up falling to the artist, sometimes even if they are signed with a label! I’ve written a lot about the topic of music promotion and marketing. So, I would suggest delving into those posts if you have no idea where to get started. And even if you do have some marketing experience, it’s worth sharpening your skills. In addition to distribution services, there are also music marketing services. Just know that these services are going to cost considerably more than distribution is going to cost you. Over the long haul, I would encourage every musician to build a team and delegate responsibilities, but most musicians don’t start there. If you’re just getting started, you’ll need to strategize around how you’re going to get your music heard without any paid help. What Are Your Thoughts on DistroKid? My roommate first told me about digital distribution services in late 2006 or early 2007. I didn’t even know they existed. At the time, Derek Sivers was still working at CD Baby, which was one of the most prominent (and best) services available. When I received an email from Derek (automated, I’m sure) detailing the best music promotion strategies he’d discovered, I felt like I was at home. So, I have been using CD Baby ever since, and haven’t even experimented with other distributors. (Update: In the last couple of years, I’ve started experimenting with different music distributors and now have some experience with DistroKid. Ari’s take on it is basically correct – they charge for services that shouldn’t necessarily be add-ons. Also, it seems to take a long time for them to get your music out to certain services. I can’t put that all on them because it could just as easily be the fault of streaming services and online stores. Next on the list for me is Ditto Music, as I’m an affiliate with them). Is CD Baby still everything it used to be? I’d be lying to you if I said that I didn’t have my doubts. When Apple Music was on the horizon, they implied that it would solve all our music industry problems. Of course, as you know, it didn’t. They have made other claims and statements at times that have had me furrowing my brow and cocking my head. But I’m not here to insult my distributor. I think they are great at what they do. I just don’t know if they’re the best option anymore. (Update: Having now worked with other distributors, either for myself or for my clients, I think CD Baby may still be the best option. I love that I can create multiple artist accounts with them without having to register a new account. This came in handy when I distributed a Christmas single in 2017 under a pseudonym). Have you used DistroKid before? If so, what was your experience like? Is their service everything you’d hoped or expected it would be? If you’re trying to figure out what distributor to go with, don’t be paralyzed by the various options available. As I always tell my musicpreneur friends, it’s about acting and course-correcting as you go, not the other way around. Steering is unnecessary when there is no movement. So even weak action is better than no action at all, because if you’re moving, you can begin steering. Also, I’m pretty certain you can change distributors at any time (unless there’s something in the terms of service stating otherwise). So, feel free to experiment as you see fit.